DONALD TRUMP: Russia has to get out. And that was President Trump after he met with Fabiana Rosales de Guaido, the wife of opposition leader in Venezuela. President Trump’s comments were in reference to the Russian military presence in Venzuela. The Russian military in Venezuela is nothing new. There are bilateral treaties and relations that predates this current crisis. Further, Russian support for the current crisis, the support for Maduro’s government in particular, has been multidimensional. It has assisted the Venezuelan people with humanitarian aid that includes medicine and food. 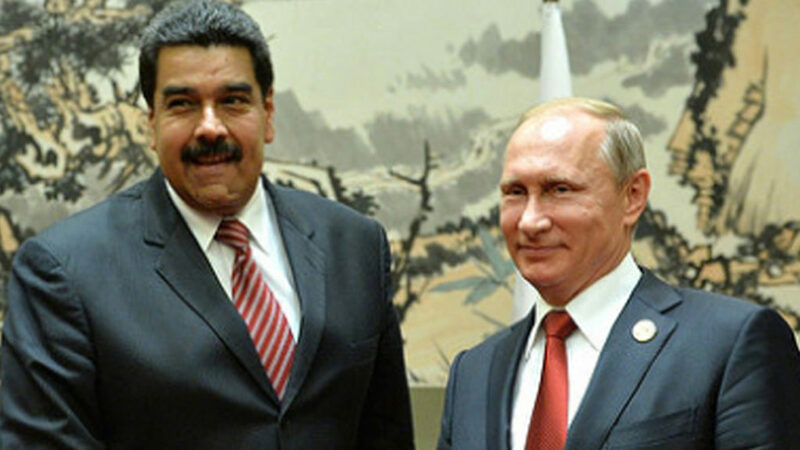 Russia is also assisting Venezuela dealing with U.S. economic sanctions by providing substantial investments in financial form by way of loans, and also in terms of interest in the oil industry and oil production. As far as we know, the military assistance being provided is to ensure that the Venezuelan military is equipped, trained, and prepared to use the military wares purchased from Russia by Venezuela. The latest round of military assistance arrived on Sunday, March 4, when two Russian military aircraft landed at Maiquetia Airport in Caracas. This prompted Secretary of State Mike Pompeo to initiate a call with a stern warning to his counterpart in Moscow, Foreign Minister Sergei Lavrov, to discuss the situation. Then Pompeo issued a statement saying that the U.S. will not stand by idly as Russia exacerbates tensions in Venezuela. In response, Foreign Minister Lavrov said Washington’s attempt to stage a coup in Venezuela and threats against its legitimate government were a violation of the UN Charter, and blatant interference in the internal affairs of a foreign state. Joining me now to discuss all of this and much more from the TriContinental Institute is Vijay Prashad. He’s also the editor-in-chief of LeftWord Books. Good to have you here with us, Vijay. SHARMINI PERIES: All right, Vijay, as the statements imply, there is growing tension between Russia and the U.S. This aggressive regime change agenda the U.S. is pursuing is clearly going to be met with resistance, not only by Venezuela, but by its allies, like Russia. So, Vijay, given that this is not the first time Russian troops have landed in Venezuela, the obvious question is what message is Russia delivering to the U.S. here? VIJAY PRASHAD: Well, yes, indeed, planes have arrived that took off in Russian military airport, landed in Caracas. They brought a hundred Russian troops into Venezuela. They were accompanied by the chief of staff of Russian ground forces, Colonel Vasily Tonkoshkurov. They also came with 35 tons of material. Not clear exactly what that material is. You know, Venezuela and Russia had a considerable experience of mutual military exercises. In December two Russian bombers came into Venezuela. So you know, this is not something that is totally abnormal. It’s not exactly the same as when Russia intervened militarily in Syria in 2015, when large numbers of aircraft entered the country, troops entered the country, and so on. This is a much more modest entry of troops. And yet I think it’s important to underline it’s a message that the Russians have sent to Washington, DC that they see any military intervention against the government in Venezuela to be something that they will be firmly opposed to. Not only at the United Nations, but also on the ground in Venezuela. And I think that’s a message that was heard loud and clear in Washington. You know, Secretary of State Mike Pompeo publicly said that he’s received the message, and he warned the Russians not to intervene further to help the government in Venezuela. In other words, I think this plane shipment of 100 troops was a message, rather than itself a large-scale military intervention to defend the Venezuelan government. SHARMINI PERIES: So, Vijay, this is only 100 Russian troops landing in Caracas with some gear, 35 tons of equipment, perhaps repair equipment, perhaps some upgrades, that sort of thing. This is the normal course of activity. Is there anything more to it than that? VIJAY PRASHAD: Well, I think it is very likely what would be the effective national security adviser in Russia, Nikolai Patrushev, made the statement that the Russians are not going to allow the Americans to conduct a regime change operation in Venezuela. But Patrushev also said that the Americans are only interested in Venezuelan oil. SHARMINI PERIES: Vijay, the relationship between Russia and Venzuela predates this current crisis with President Maduro. President Chavez made a strategic shift to purchase arms from Russia, and also to open up the oil industry to Russia. So there is some history here. And the military exercises and military purchases from Russia almost requires Russian assistance and aid. So in reference to these troops landing here, if Venezuelan military is preparing itself to defend itself against any potential intervention on the part of the U.S., it would need Russian assistance here. VIJAY PRASHAD: Well, I think this is of course the case. And I think there’s also a residue of older patterns of conflict in the world. Let’s not forget that the two bombers that came into Venezuela in December of last year were both bombers that can carry nuclear weapons. And in a sense it was an echo to the Cuban missile crisis. You know, it wasn’t made much of the press, and I was surprised by that. But you know, this is a considerable intervention by the Russians of its military hardware. I wouldn’t be surprised if the Russians bring in a missile defense shield and its own missile defense capabilities into Venezuela. I wouldn’t be surprised at all. I mean, the issue is, of course, that the Russians are capable of providing a military shield. Again, this is an old relationship. But I think actually even more important with this Russian and Chinese intervention into Venezuela, what’s very much more important is what Chavez had longed for in the high point of Venezuela’s oil industry, when the oil prices were high. Chavez had at that time said he wants China to become the largest purchaser of Venezuelan oil. Now it seems that that’s exactly what’s happening. China is going to be the largest purchaser. And I very much hope that the revenue coming into the country is going to help stabilize the economy, is going to alleviate the suffering that the Venezuelan people have had to undergo as a result of collapsed oil prices, and of course the American sanctions and embargo. SHARMINI PERIES: All right, Vijay, you said something really important here, and that is Russia’s relationship to Venezuela over oil. Now, this has to be prefaced with the fact that Russia itself has suffered a setback in terms of its own economy due to the fall in oil prices, which was also the experience of Venezuela, part of the reason they are in this crisis right now in terms of state resources. And further, Russia has also suffered U.S. sanctions; another affinity with Venezuela. Now, the fact that the Venezuelan oil industry is also somewhat dependent on Russian know-how, knowledge, history, and working in the oil industry they hold some of the leases in the oil wells and so forth. So it is natural that Russia steps in to help Venzuela in terms of its collapsing economy, because it has stake in it. So explain this current situation to us. VIJAY PRASHAD: It’s important to recognize that Venezuela has borrowed a large amount of money from the Russians. The outstanding loan is about 3.15 billion U.S. dollars. That’s a lot of money for a country that is in the middle of an economic crisis. It should be said that twice a year Venezuela has to pay interest payments to Russia. The interest payment for this half year comes due at the end of March, just in a few days. That’s about $100 million. Now, it’s not clear whether Venezuela will be asked to make that payment, or whether the payment will be rolled into the debt that already exists, or whether there’ll be some new mechanism, some sort of debt for equity swaps where the Russian oil company Rosneft gets some advantages in exploration for oil, and so on. None of that is very clear. But it’s certainly the case that Russia has immense stake in Venezuela not only financially, in terms of the debt, but also geopolitically, because it sees Venezuela as an important ally for Russia, and as well an important ally for Cuba. So it has a stake in what happens in Venezuela, and the entry of these troops, I think, underlines the importance of that stake. SHARMINI PERIES: All right. Let’s talk about what’s at stake here. Venezuela is getting more and more squeezed in terms of its ability to sell its oil, and it’s further constrained now with the additional sanctions. So prior to this, China, Russia, and India was purchasing oil from Venezuela, and these recent sanctions and direct intervention on the part of Bolton and Pompeo in reference to India has tightened the noose, so to speak, as far as the oil industry and Venezuela is concerned. VIJAY PRASHAD: Well, this is true. Venezuela’s main purchaser of oil used to be the United States. Number two was India. At a recent meeting in Austria, the Venezuelan oil minister said that India would no longer be buying Venezuelan oil. Rather, Venezuela would no longer be selling oil to India. I mean, I think what the Venezuelan government understands is that there is immense pressure on India to roll back on its oil purchases from both Iran and from Venezuela. And in a preemptive move, Venezuela decided we will no longer sell oil to India. I mean, this is a very important decision. But it has to be understood alongside another process, which is that China has been increasing its oil buys not only from Venezuela, but also from Iran. The figures in for last month–that is, the month of February–China bought 2.3 million metric tons of oil from Venezuela. That’s a level of oil buys that it hasn’t had since December 2017. You know, at the same time China has been increasing its buys from Iran. It has increased by 22 percent. I mean, you’ve got to understand that we’re seeing here the parallel move between China and Russia. On the one side, Russia has said that they will provide a military umbrella for Venezuela. It indicated that not only rhetorically, but also by sending troops, by sending two bombers that can carry nuclear weapons. And at the same time, China has been buying oil to boost the Venezuelan economy, which has been flagging. I think this is important, that you see here collaboration between Russia and China, both countries interested in the inauguration of a multipolar world, putting pressure against the United States, which has tried to, as it were, get its own way in Venezuela. SHARMINI PERIES: All right, Vijay, one complex thing here is why is Russia purchasing oil from Venezuela? Russia has its own oil that it exports. VIJAY PRASHAD: Well, you know, these are different kinds of oil. But the most important thing isn’t any oil purchase. The most important thing is the investments. I mean, Russian oil company not only has surpluses in hand, but it’s also got experience. And Venezuela’s oil industry has suffered from a lack of investment for quite some time. And I think this is where the Russian money is going to be very important. They are investing in fields, particularly fields that are around the major Western fields in Venezuela, around the Lake Maracaibo. There was a lot of money put into the Orinoco fields development along the Orinoco River. That’s not exactly where the Russians are investing. They’re investing in the older fields. But they’re also investing in the Venezuelan oil company, which has required I adding funds to maintain maintain its ability to import naphtha. I mean, Venezuela is in a curious position. It has largely got heavy oil, heavy oil whose price, you know, heavy oil which is actually what the Chinese are buying from it. But to get the heavy oil out of the ground, the Venezuelans require naphtha or naphthalene to pump into the wells to bring the oil up. And so the Russian investment is helping with all this. It’s helping, in a sense, maintain, if not revive, the Venezuelan oil industry. And then that oil is going to be sold increasingly into the Chinese market. SHARMINI PERIES: Vijay, a few weeks ago John Bolton, speaking about Venezuela, said this, invoking the Monroe Doctrine. JOHN BOLTON: And I think–look, in this administration we’re not afraid to use the phrase Monroe Doctrine. This is a country in our hemisphere. It’s been the objective of American presidents going back to Ronald Reagan to have a completely democratic hemisphere. I mentioned back at the end of last year that we’re looking very much at the troika of tyranny, including Cuba and Nicaragua, as well as Maduro. Part of the problem in Venezuela is the heavy Cuban presence, 20,000-25,000 Cuban security officials, by reports that have been in the public. This is the sort of thing that we find unacceptable, and that’s why we’re pursuing these policies. SHARMINI PERIES: All right, Vijay, so if we take what Bolton just said about the Monroe Doctroine, and then we add to that this new bill, the Russia-Venezuela Threat Mitigation Act, a bill introduced by U.S. Rep. Debbie Wasserman Schultz, she is from Florida. Let’s take a look at a clip of her introducing this bill. DEBBIE WASSERMAN SCHULTZ: The people of Venezuela are suffering right now under the rule of a brutal despot, Nicolas Maduro. It’s no surprise that this cruel regime has very few friends. Not surprisingly, one of them is the Kremlin. And that is why the Russian-Venezuelan Threat Mitgation Act is so urgently needed. This bill would require the State Department to provide a crucial threat assessment of Russia’s influence in Venezuela. Just this weekend we saw media reports that more Russian military officials continue to arrive in Venezuela. This is just the latest attempt in a long-running push by Vladimir Putin to prop up this brutal autocrat. This menacing Kremlin influence creates not only a hurdle to restoring a functioning, legitimate democracy to the people of Venezuela, it also poses an imminent military threat to the entire Western hemisphere. Our goal, regardless of party, is to allow for the peaceful transition to Venezuela’s rightful leader, interim president Juan Guaido, and for the peaceful execution of free and fair elections. That will not happen soon enough, so long as Putin’s troops are helping prop up Maduro’s bloody regime. 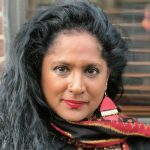 SHARMINI PERIES: All right, Vijay, your final comments on what Bolton said, and these new foreign policy adventures of the U.S. in the region? 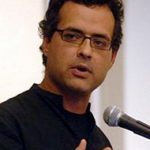 VIJAY PRASHAD: Well, firstly, it’s good that John Bolton knows that he said something embarrassing, because he said “We’re not afraid to say the Monroe Doctrine.” Well, you know, you should be embarrassed to evoke something from 1823 in the present. A little history lesson, of course, is that President Ronald Reagan wasn’t trying to increase democratic governments in the hemisphere. In fact, it was under Reagan that the United States backed some of the most vicious political forces in the region, whether it’s the Contras or the juntas in South America, and including in places like Honduras and Guatemala. Brutal people that did the exact opposite of increase democracy. So you know, Bolton needs to understand history a little better. And I think he’s got to go and sit down and talk to Nikolai Patrushev, his counterpart in Russia, and figure out, you know, that the arrogance of the Trump administration, perhaps, is not going to stand. SHARMINI PERIES: All right, Vijay. Thank you so much for joining us, and looking forward to having you back.